Comfort Elite is One Stop Leasing’s top of the line, luxury restroom trailer. 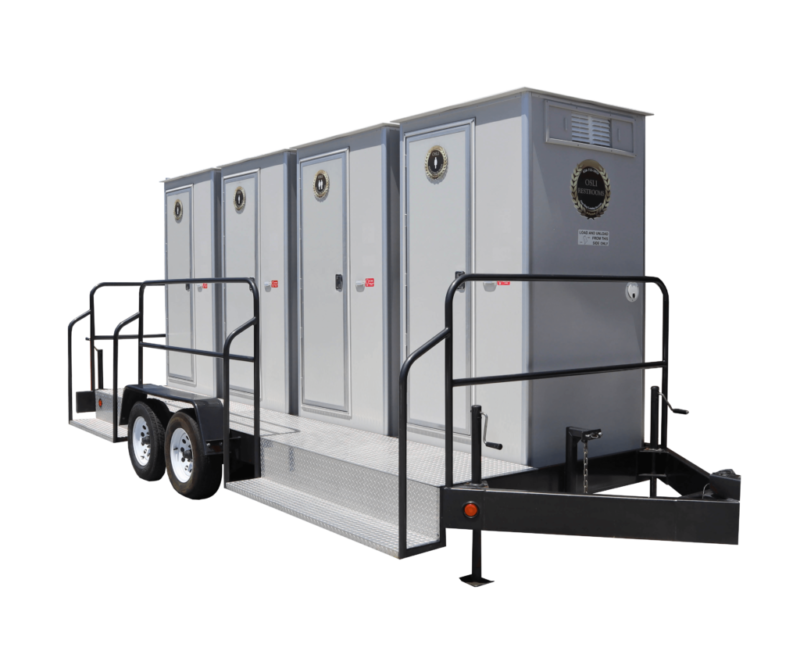 This portable restroom is designed for all outdoor special events. We provide three different models to accomodate the size of your event. One Stop Leasing also offers a different series of upscale portable restrooms very similar to the Elite Models. These trailers come in sets of 4 and 2 stalls. One Stop Leasing was founded in 2001 with a goal to bring the upmost elite services in Southern California. 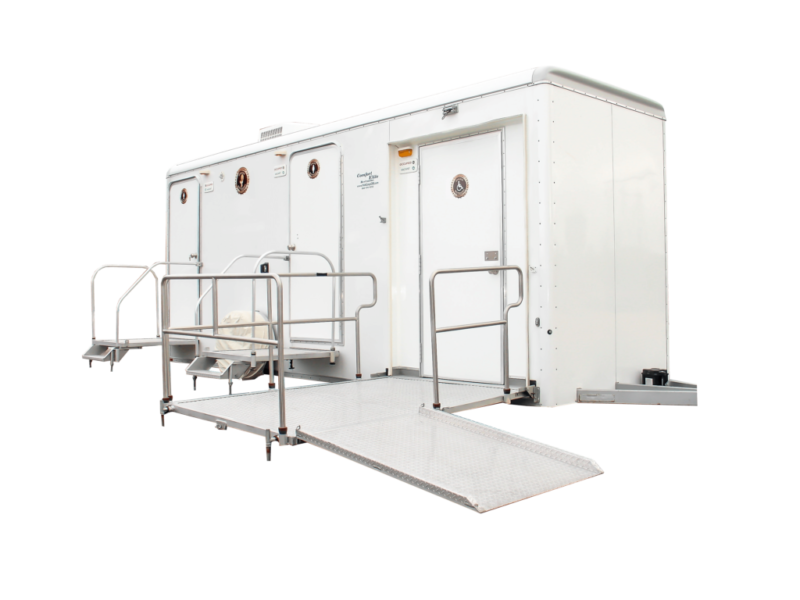 Since then, OSLI has been providing upscale portable restrooms in Los Angeles and surrounding valleys. Open 24/7 , our luxury portable restrooms continuously meet and exceed the expectations of our customers. Our rentals range from Ventura County to San Bernardino County. Contact us to see if you qualify for free delivery and pickup. One Stop Leasing also offers additional waste services to the general public and movie industry in the Los Angeles area. If you have any inquiries on waste bins please contact us by email or by phone number.